EAV Assessment and Screening is also known as EDS (electrodermal screening). EAV is an innovative testing method that has been widely used for over 60 years. It is used extensively throughout Europe by over 25,000 medical practitioners, and is gaining acceptance in the United States. EAV offers a quick, non-invasive method of screening for health imbalances. It should be clearly understood that EAV is not a “standard medical procedure,” and is not accepted as a diagnostic test for determining a specific disease or medical condition. It is, however, and energetic evaluation of an individual and provides an invaluable general assessment of a patient’s state of health. It has also proven to be a powerful tool for remedy and dental material selection, as well as for evaluating tooth stresses and jaw infections. 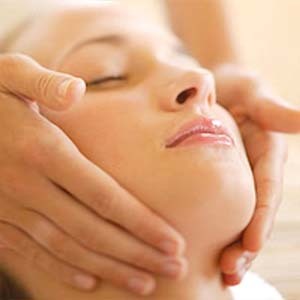 EAV utilizes the body’s acupuncture meridians or the “energetic system” as a means of communicating with the body. This energetic system is a network of communication pathways in touch with even the smallest corner of your body. By indirectly measuring this energetic system, EAV can evaluate the functional condition and general health of the entire body, including determining the presence or absence of parasites, bacteria, fungi, viruses, and toxins. EAV is not meant to be a replacement for the other patient evaluation methods, but rather functions as a complementary means of information gathering. In the final analysis, the more information we have about a patient’s condition, the greater success we can hope to achieve with the treatment recommended. Root Canals — how much stress is the root canal putting on your immune system? Cavitations — is there a infection in the jaw bone? Metal Crowns and Bridges – is there toxic metals residing in yours? Electrical Disturbance –multiple metals in the mouth may conduct electrical activity. Chronic Health Challenges/Lyme and others — individualized testing to identify contributing factors to complicated disease processes that are often difficult to diagnose and treat conventionally.